Digging for gems can be a profitable pastime, especially if you are a gem and mineral enthusiast. There are rock hunting and dig sites all over the United States that are open at different times of the year. Most digging sites consist of dump piles that are brought up from privately claimed mines, but occasionally private mining companies will allow you to excavate dig sites on their land. Always contact the owners of the dig site in advance, so you know what the current fees are and what equipment to bring for digging. Search online for "gem hunting near me" to find local rock hunting spots to search for gems and minerals. Maine has the largest concentration of dig sites in the Northeastern United States. Tourmaline, quartz and rose quartz are found at several dig sites located between Bethel and South Paris, mainly on Mount Mica. Look for Bethel Outdoor Adventure, Songo Pond Mine, Western Maine Mineral Adventures, and Perham's of West Paris, if you are in this area of Maine. Hermit Island on the Maine coast is a soothing beach, where you can dig for gemstones like garnets and mica chips at low tide. Mount Appetite Park in Auburn has green and pink tourmaline deposits, as well as smoky quartz. Green's Farm Garnet Mines in Roxbury, Connecticut has large dark red to black garnet crystals that measure up to an inch in width. Staurolite crystals are also found here. Ruggles Mine in Grafton, New Hampshire has 150 varieties of gemstones to dig, the most commonly found include amethyst, garnets, rose and smokey quartz. Herkimer Diamonds are at the Crystal Grove Diamond Mine in St. Johnsville, New York in the Adirondack Mountains, where there is also a family campground area. 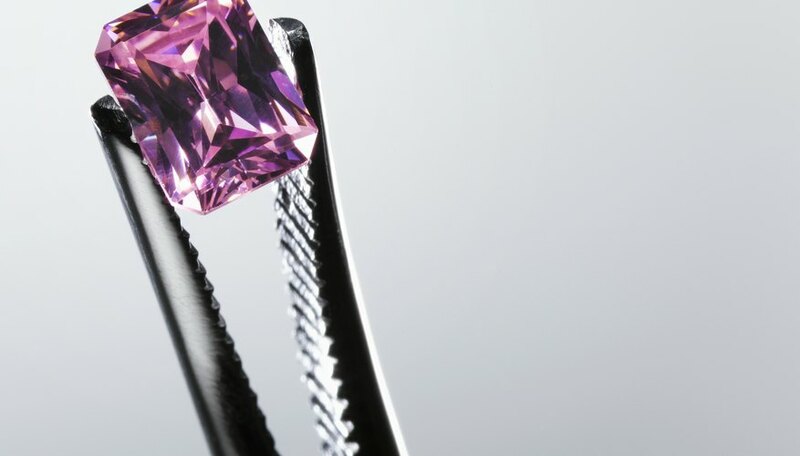 Franklin, North Carolina is known as the "Gem Capital of the World." There are rubies and sapphires in the area at the Columbia Mine and the Cowee Mountain Ruby Mine. Nearby Emerald Hollow Mine in Hiddenite, North Carolina is the only public emerald mine in the world. Jackson Crossroads Amethyst Mine in Tignall, Georgia is known for its deep purple amethyst. Diamond Hill Quartz Mine in Antreville, South Carolina has quartz and smoky quartz in many different variations. 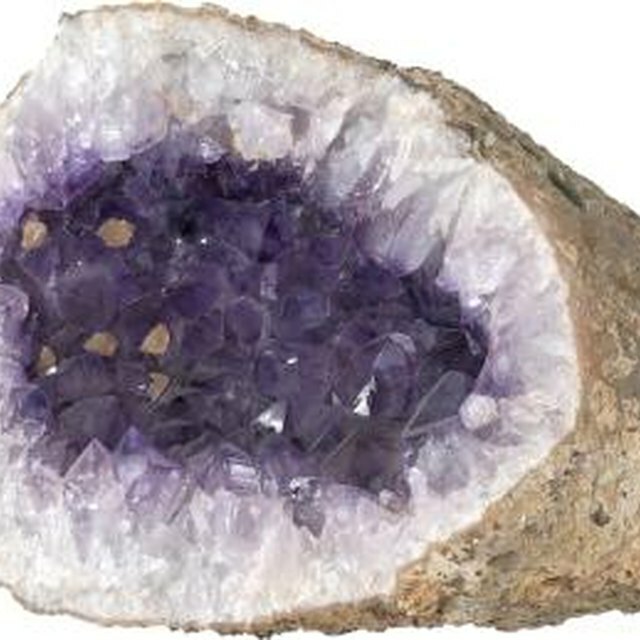 Occasionally, amethyst crystals, pyrites, calcite have been found at this site. Crater of Diamonds State Park, in Murfreesboro, Arkansas, is the only publicly open diamond dig site in the world. The best time to look for gems in a diamond field is after a rainstorm. Arrowhead Crystal Mine offers two dig pits in the Ouachita Mountains range of Mount Ida, Arkansas. Rubies, sapphires, tourmalines and agates are in the pits at this site,The Crystal Seen Mines in Jessieville, Arkansas has clear and white quartz crystals with adularia and calcite inclusions. Dig for fire opals in a raw matrix at the Juniper Ridge Opal Mine, located between Klamath Falls and Lakeview, Oregon. Richardson’s Rock Ranch outside of Madras, Oregon has rock beds filled with thundereggs and ledge agates. Oregon sunstone pit digging is available at the public Spectrum Sunstone Mine near Plush, OR. Large deposits of red and green sunstone are embedded in the volcanic rock pits at this site. Visit the Bentoite Mine in Coalinga, California to dig for the state gem of California. Benitoite is a rare and valuable gem and it has only been collected from the Bentoite Mine. Dig for quartz crystals, lepidolite, topaz, morganite, and tourmalines in the dig site at the Himalaya Tourmaline Mine in Santa Ysabel, California. The Oceanview Mine is in the well known Pala mining district of California. An abundance of tourmaline, kunzite, goshenite and aquamarine are found here. Look for fire opals at the hundred year old Bonanza Opal Mine in Denio, Nevada. Utah has several free digging sites in state parks that are open to the public. Sunstone Knoll in Millard County, Utah has small sunstones strewn throughout the soil on the eastern side of the knoll.Topaz Mountain in Juab County, Utah contains amber colored topaz crystals as well as amethyst, garnet, opal, and hematite within the mountain's rhyolite deposits. If you are hunting for rare gems in the Southwest, go digging at the Blanchard claims Desert Rose mine in the Hansonburg Mining district.The site is in Bingham, New Mexico and the Blanchards also offer guided mining tours throughout the area. Over 80 different types of minerals have been collected at this site including fluorite, barite, galena, linarite and wulfenite. Rockhound State Park is also in New Mexico outside of Demming. Dig throughout the west slope of the Little Florida Mountains at the park for up to 15 pounds of agate, jasper, perlite, opal and chalcedony. Schofield, Lina. "Places to Dig for Gems." Sciencing, https://sciencing.com/places-dig-gems-8721602.html. 17 September 2018.